To get something approaching a responsive home — that’s a smart home that reacts to you instead of you initiating actions — you have a few options. There’s a device called Kirio that, along with sensors and other devices, are built into the house during construction or remodeling. Vivint can do something similar after a home’s been built for a monthly monitoring fee. With the DIY approach, you can use If This Then That to make your smart-home devices work together, but it will take time and patience to set it all up. Even then, your smart thermostat and lightbulbs won’t really know if they’re operating inside a one-bedroom apartment or three-story house. The benefit of a mobile robot like the Roomba, he said, is that it requires a map of your house to function — something that gives your other devices a better idea of how they should be functioning. Right now, in most cases, if you want to tie your smart bulbs to your motion detectors, it’s on you configure each one. The end result will mean you don’t have to flip the switch when you walk in and out of the room, but it’s lot of effort up front. But if your lights and motion sensors could use your robot vacuum’s map and understand how they’re related in terms of proximity, “that setup of that motion-activated lighting scenario can actually be very simple,” he said. It’s just one example of how a mobile sensing device could improve smart-home products’ efficiency. Roving temperature sensors could give your thermostat a better idea of how every corner of each room is being heated or cooled. Even if you have individual sensors in your bedroom and living room, they’re still only monitoring a single spot. And iRobot isn’t the only company thinking about this: LG wants you to use its Hom-Bot vacuum as a security camera — and hackers want to use it to spy on you. 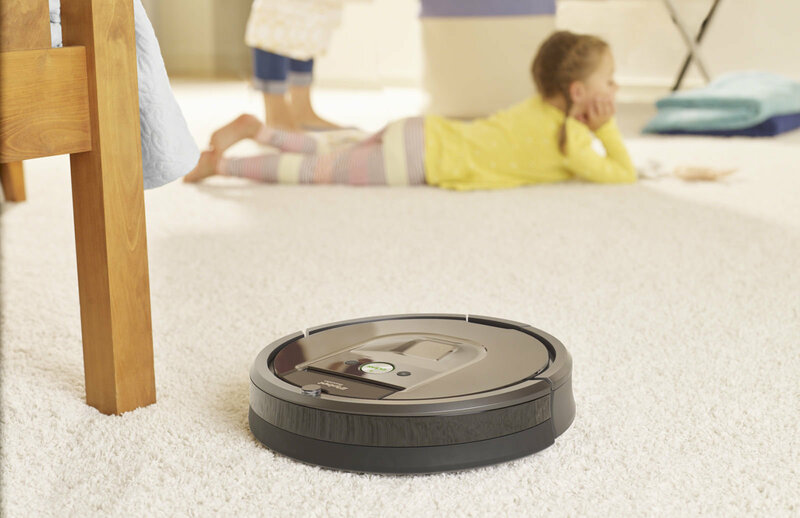 There are a few technologies the Roomba 980 series takes advantage of to map your house. 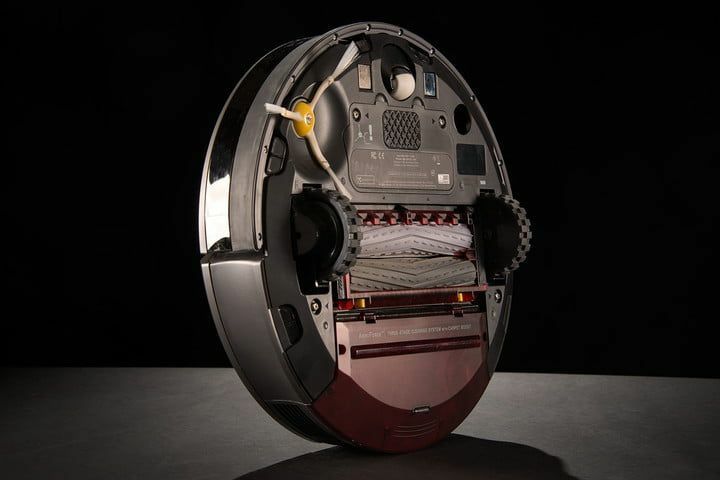 To keep track of wheel revolutions and how the robot moves, the vacuum has an odometer, gyroscope, and floor-tracking sensor, which Jones compares to an optical mouse that uses a light source and detector to detect movement. There’s also a smartphone-quality camera that perceives objects. “Don’t imagine that the robot is recognizing your Ikea chair and using that as insight into where it is in the home today,” Jones said. “You can think of it kind of like celestial navigation, almost.” Your chair will register as a patch of pixels that then figure into a “constellation” of other objects’ pixels, and your Roomba understands its position based on their position to each other. Pick up the vac and put it on the other side of the chair, and it will use the new visual cues to determine its new location. Right now, iRobot’s vacuums process their images onboard the robots. They aren’t sent to the cloud, and they are discarded once the bot is zeroed in on its position. There was some confusion last year when iRobot’s co-founder Colin Angle told Reuters about the vacuums’ maps and how they could be used in future smart homes; the company had to later clarify it never had plans to sell that information. “It should be clear that we do not sell customer data. That’s not our business, not how we make money,” Jones said. While he thinks there are potential benefits to your Nest or Hue products having the map, it would be up to the user whether or not they want to opt in. Of course, we’re very used to granting apps permissions, without necessarily realizing the repercussions of, say, Google tracking your every move. On the one hand, there’s the convenience of the automated home. On the other, there’s the icky idea of six, seven, 15 companies knowing you sat on the couch all afternoon, binge-watching The Golden Girls because they’re all sharing your motion-sensor and other data.